A beautiful home addition that looks very much inspiring. Some homeowners aim to get a better exterior or an improved interior to fit their present lifestyle or just to go with the trend. That is why home remodels and improvements are common among homes no matter how old it is. There are even century old houses that are renovated in order to look modern. And the result of the revamp will always surprise us. While some homes would renovate most of its spaces, there are homeowners who prefer to just add an extension to increase their footprint for a much needed additional space for work, a family member, etc. 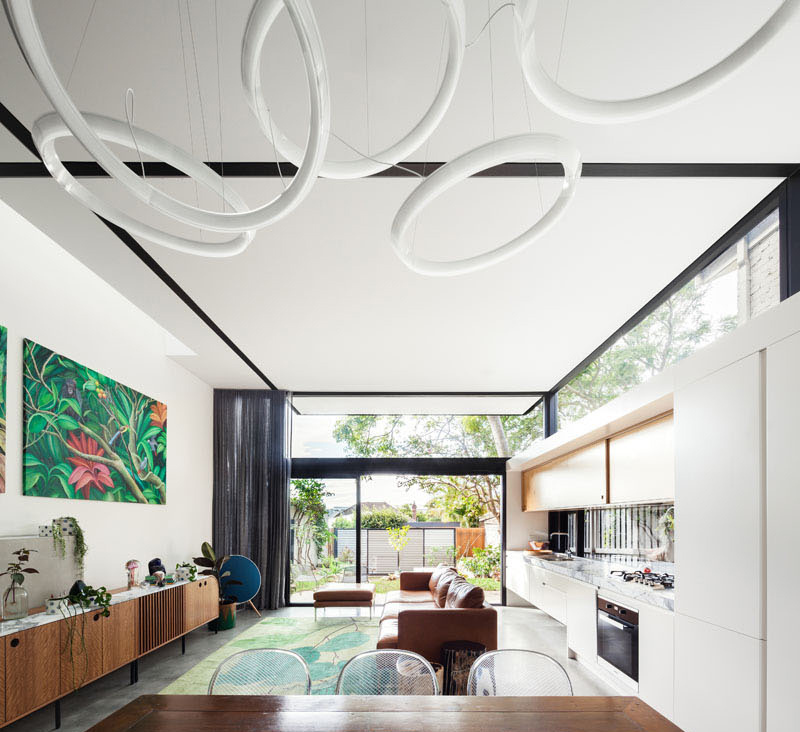 Home additions are also common just like what the owners of the Randwick 2 wanted to achieve. Unique feature: The facade of the rear part of the house features wooden shutters which adds to its appeal and which brings more natural light into the home’s interior. 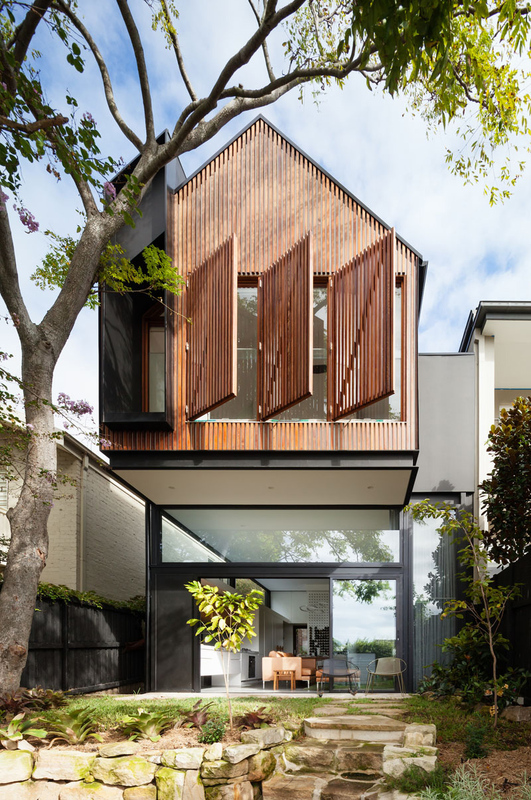 Seen in the rear extension of this contemporary home are wood slats that cantilever away from the house and provides shade for the small patio below. Shown here is part of the original house which features a library. This can be seen before heading up to the new upper floor of the home. 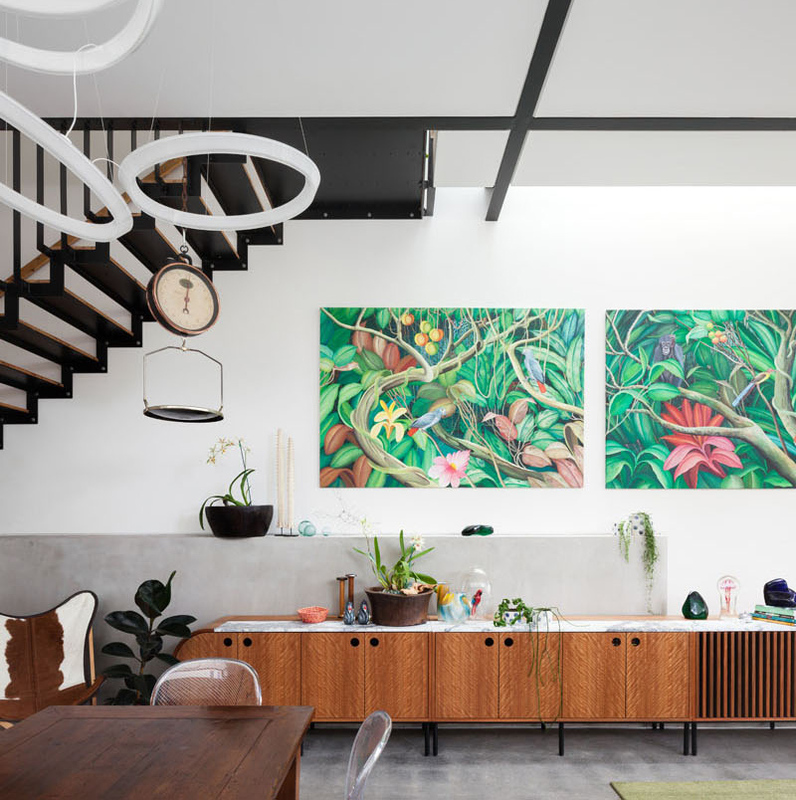 The living room, kitchen and dining room share the same space, with the light wood kitchen running alongside one wall. It opens up to the outdoor area which can be accessed through glass doors. The interior has ample amount of natural light through the black curtains. A wall of wine near the dining table and chairs isn’t just a wine storage but it is also a piece of art. 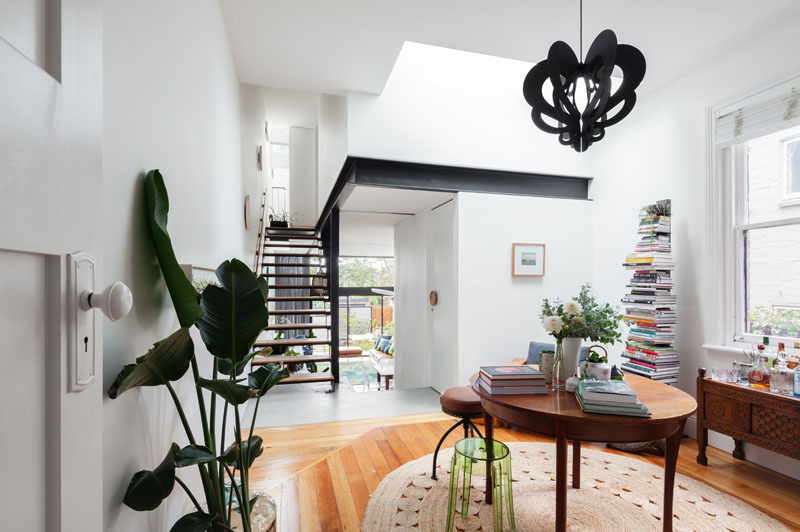 Black beams break up the all white ceiling and match the stairs at the end of the room. Yes, there are many interesting items in the area but one thing that will surely draw one’s attention are the colorful paintings on the wall. Indeed, it brought beauty and color to the space. One common feature of the house is the windows around it like the one we can see it. 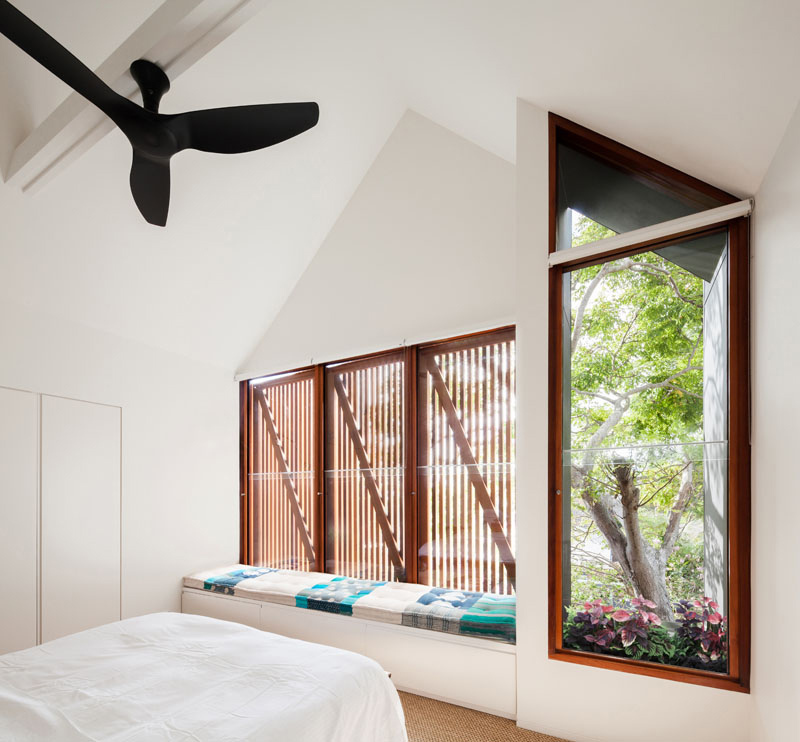 Because of the glass windows, the bedroom has a good amount of natural light in it. I love the simplicity of this bedroom with an addition of blue colors for the bench. The nursery also used white for the walls as well as for the wardrobe cabinets. Pops of colors are seen from the throw pillows, area rugs and other elements in the bedroom. You can also notice that the area is flooded with natural light which makes it even brighter. Isn’t this a beautiful bathroom? The curvy elements of the space create a balance between the straight sleek lines in it. 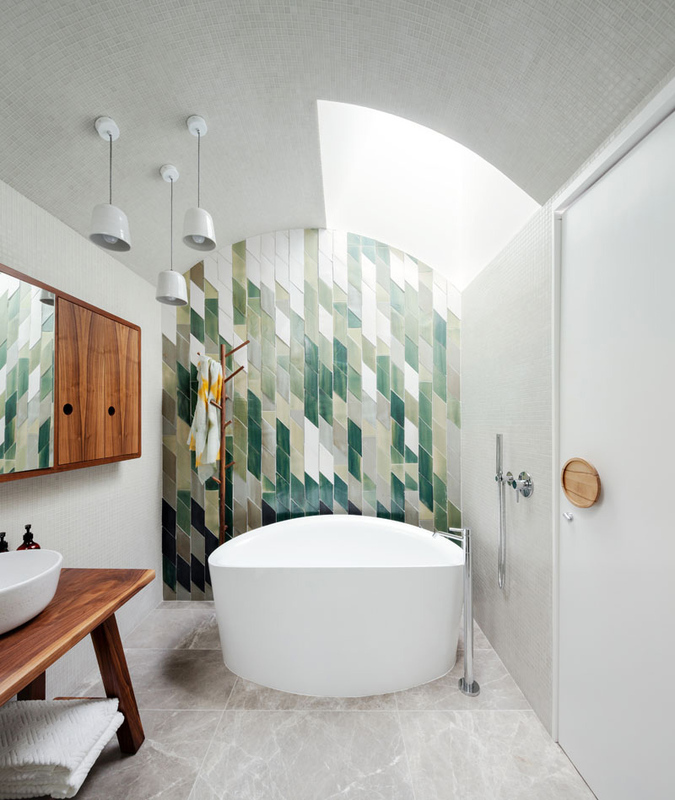 What added to the appeal of the bathroom are the green tiles which are used as an accent wall. This is how the house looks like in the entrance area. It looks really nice with bricks on the walls and pavers. 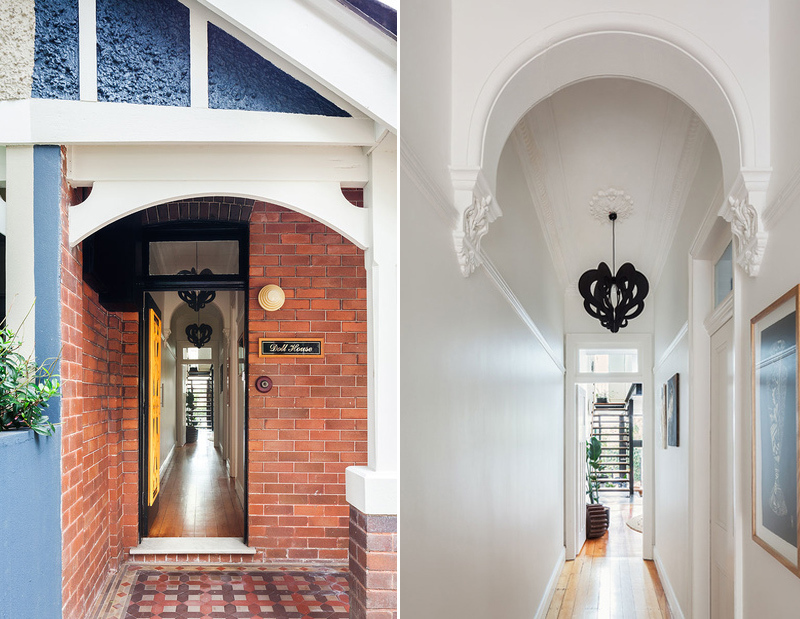 Once you are inside, you can see an all white foyer with decorative ceilings and a black pendant light. This beautiful home from Day Bukh Architects is made of recycled bricks, FSC lightweight timber for walls and structure, FSC timber framed glazed windows and doors FC sheeting. The overall look is very nice and is definitely something that you would love to see in your own home. Aside from the interesting usage of shutters in the exterior, we can see that the house also has a lovely interior. For sure, you will agree with me that this is indeed a house that you would love to go home to every day! 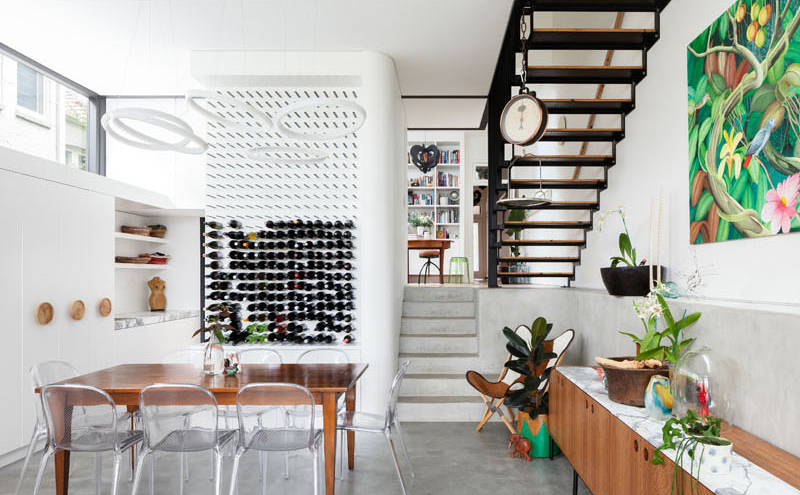 Come back for more home design inspirations here on Home Design Lover! Wow! What cool design. I love the bathtub the most. Those are some very cool, sleek contemporary spaces! They’re bright, airy, yet colorful and homey at the same time. The baby room is nice! Beautiful and creative! I love browsing through architectural magazines because I love looking at how people build homes around the world. And what really draws my attention are those which are eccentric and unique. The designs are all awesome. They cater to my authentic love of arts. It is only in my dreams that I could have or two of these home interior designs. I know it requires a lot of budget for this. Loving this design. Has a good mix of modern and classic styles. The house is gorgeous, but totally not in my preferred style. Thank you for sharing such an awesome post! What I like about the design is that it has good illumination and its spacious. They really did a great job on these project. That bathroom looks so good with the designs on the wall. The window shutters outside though look tough to clean in the long run. Modern and efficient, more space too is a plus. Love modern houses with a hint of nature love. This gives me an idea of what house I would have when I plan to own one for myself. What a beautiful and creative design. It’s looks so refreshing and I really like it’s sleek contemporary space. Overall it’s perfect. I love heritage homes and hotels. The way the old buildings are renovated is so heartening with retaining the old world charm with modern amenities. This house looks fab with the wooden details and curvy architecture!